Commissum Press Release – Commissum continues to grow its South Asian Pacific division with the appointment of Valerie Witono – Head of Business Development. Information security provider, Commissum announced the addition of Valerie Witono to the key position of Head of Business Development for the firm’s South East Asian division. Valerie Witono is an established professional, bringing with her over 17 years of experience in sales and business development. With a particular focus in information security, Valerie holds a wealth of knowledge in Governance, Risk Management and Compliance and has a deep understanding of a wide range of information security solutions. Valerie’s extensive experience is supplemented by her ISACA Certified Information Security Manager (CISM) certification– a true testament to her dedication to the field of security. 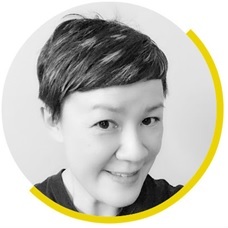 known for her passion for cultivating sales teams, building lasting relationships with clients and finding solutions to suit their challenges, Valerie has a proven track record of successfully working with leading cyber security companies within Asia. Prior to joining the firm, Valerie worked in multinational corporation’s (MNCs) and defence organisations, selling complex security solutions and services to key players. Whilst at Commissum, Valerie will be heading the business development in South East Asia and will play a critical role in expanding Commissum’s presence in the region. Valerie will be focused on increasing Commissum’s market share whilst capitalising on the predicted cyber security market growth in the Asia-Pacific region. “Commissum is a well-respected provider of cyber security services in the UK and the team are very passionate. Outside of work, Valerie enjoys nothing more than spending time with family and friends and the occasional karaoke session.